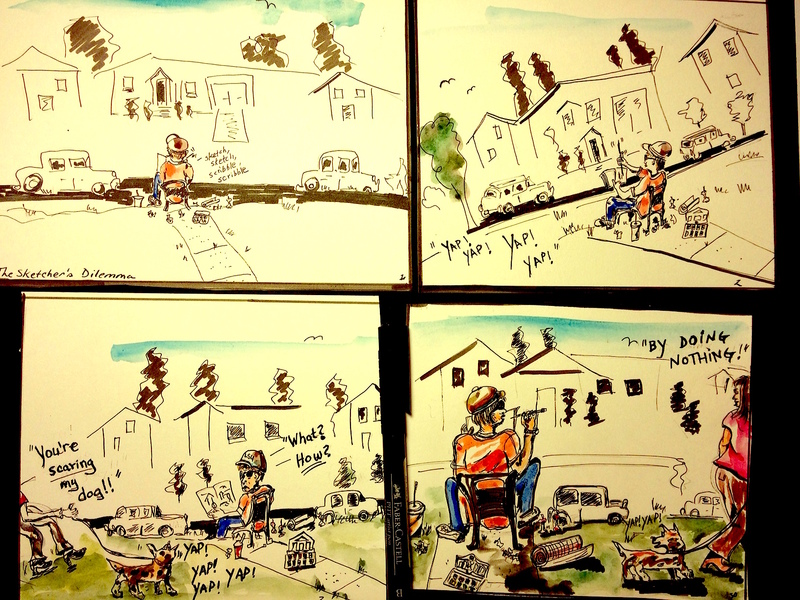 We’ve heard of the “innovator’s dilemma,” of course, and here comes the “sketcher’s dilemma” based on a true story (as reported to this writer) from someone on location in American suburbia. Today I tried Higgins “dye-based drawing ink” in washes on Fabriano 140 lb Cold Press watercolor paper to create some portraits in the studio. I used a watercolor brush (now an ink brush!) to do the washes, and filled in some contrasts with a Platinum Carbon fountain pen with waterproof black ink. The results seem promising enough that I’m eager to try something similar again. 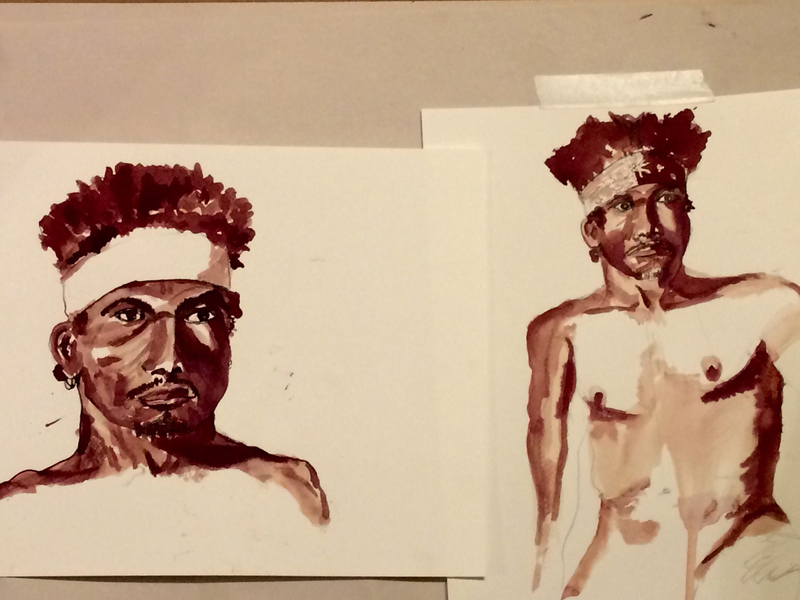 Working in one color–in this case, brown ink–and trying to distinguish different values (or degrees of contrast)–seems easier than managing all the interactions between paper, water, and different colors involved in doing a watercolor portrait. This paper, moreover, seemed well-suited to the ink washes. Gentle rainfall did not discourage a few small groups of visitors yesterday at the Kenilworth Aquatic Gardens in Washington, D.C. This park contains marshes and gardens with almost surreal light, sounds, smells, and color–even on a drizzly day. Indeed, a wet day in wetlands has some surprises of its own, it turned out. They included the unforgettable sight of countless water drops (some as big as golf balls!) gliding down the waxy ridges of thousands of broad lotus plant leaves. All at once, when breezes stirred the plants, these drops would fall often several feet into the dark garden pools below. The sound these translucent orbs made–perfectly round as they slid off the leaves and into the water–must be like what a million tiny waterfalls sounds like all at once. This water symphony created an eerie but beautiful sensation of something unfamiliar, like a botanical surf. It was hard to believe that all this was happening only a short distance from the U.S. Capitol Building. Up ahead, splashes of color made by some visitors’ umbrellas bounced above the crimson, faint yellow, and white hues of the swaying lotus plants. In such a riot of sensations, lotus blossoms seemed to stare us bystanders in the eye. As we left the park, the light rain gave way to blue skies and the water symphony was in its last encore for the day. 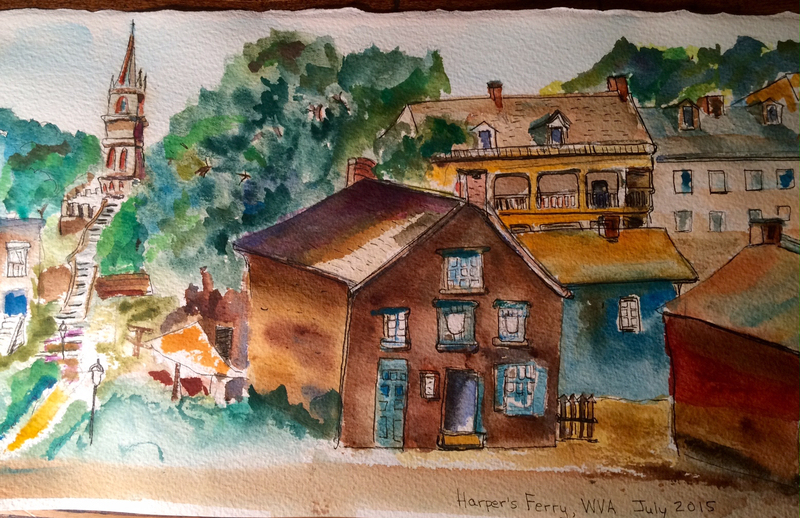 A recent trip featured a bit of hiking and sketching around the town of Harpers Ferry, West Virginia, where the Shenandoah and Potomac Rivers meet in a “confluence.” Lots of people were enjoying the water, while others were exploring the parkland and the town. Harpers Ferry, most of which is a National Park, is well-known for its role in the Civil War but perhaps less known was its 19th century role as an emerging industrial center dependent on moving goods via a canal. Stone ruins of a paper mill sit right outside the lower part of town, making for a very sketch-able spot. Recurrent floods and the success of the railroad about a century ago washed away many of its commercial prospects; (in another example, perhaps, of rapid technological advances making a hash of strategy). Still, it was surprising to learn that only a few hundred people live here year-round! But it is such a beautiful spot that many more visit, especially on the weekends; they come from all over the world! 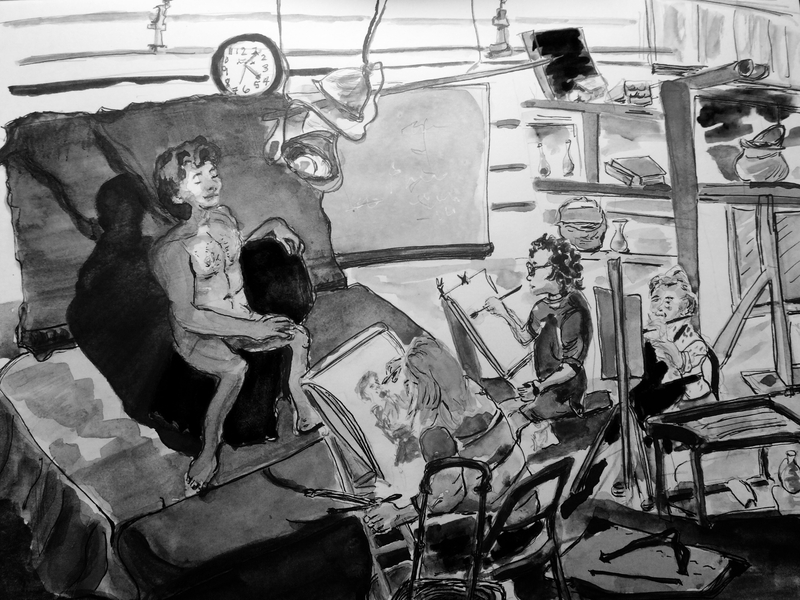 In an open life studio, where all types of artists gather to practice drawing or painting from a professional model’s pose, it is striking how differently the participants depict the model in their artwork. No “analytical objectivity” is possible here; everyone sees the same model quite differently. It is impossible for any two people’s drawing to be alike, or even for the same person to repeat exactly the same drawing a second time. In what ways might this process of deciding what to draw, and how, be related to “design thinking”? From considering the future of countries and even economics, there seems to be more attention being paid to the need for thinking differently, if not even ahead. Some experts on international affairs seem to be exercising design thinking, for instance, when they posit alternative futures for a country like the United States, as in the new book by Ian Bremmer, Superpower: Three Choices for America’s Role in the World (2015). What is different about the thinking processes that enable us to consider alternative futures or to plan for the consequences of unpredictable developments? Certainly art students are encouraged to have a plan and to think ahead to where their brush is going, where the light is coming from, what kind of paper they have, and to pay attention to the shadows, “cools” and “warm” values. 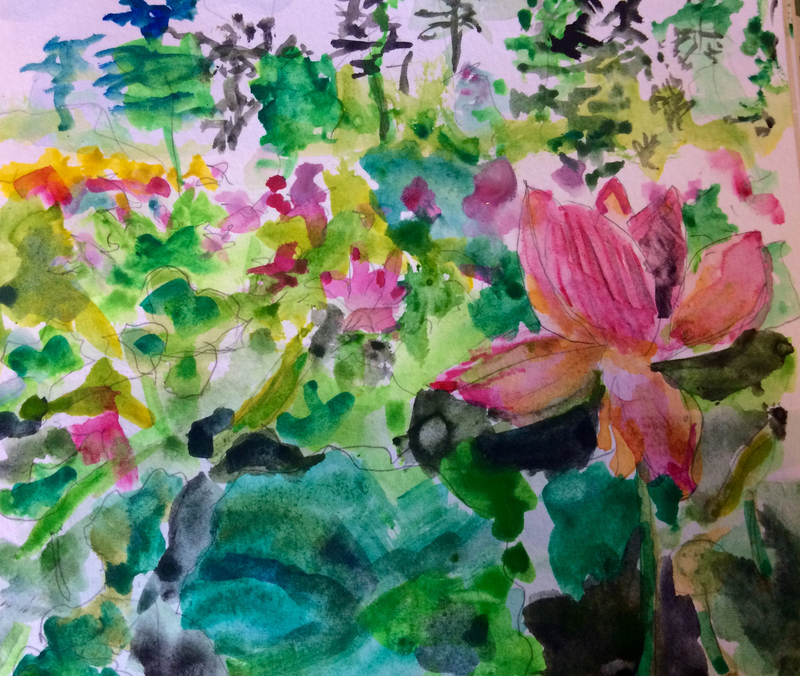 Splashing colors on a page may work for some but for most of us learning how to think about techniques, and gaining confidence through practice, are necessary. It’s a sort of strategic thought process. It is difficult to get the hang of it at first. Being comfortable with taking risks is part of the process, clearly: an ink blot here or a dribble of water there might damage what seemed before to be coming along just fine. 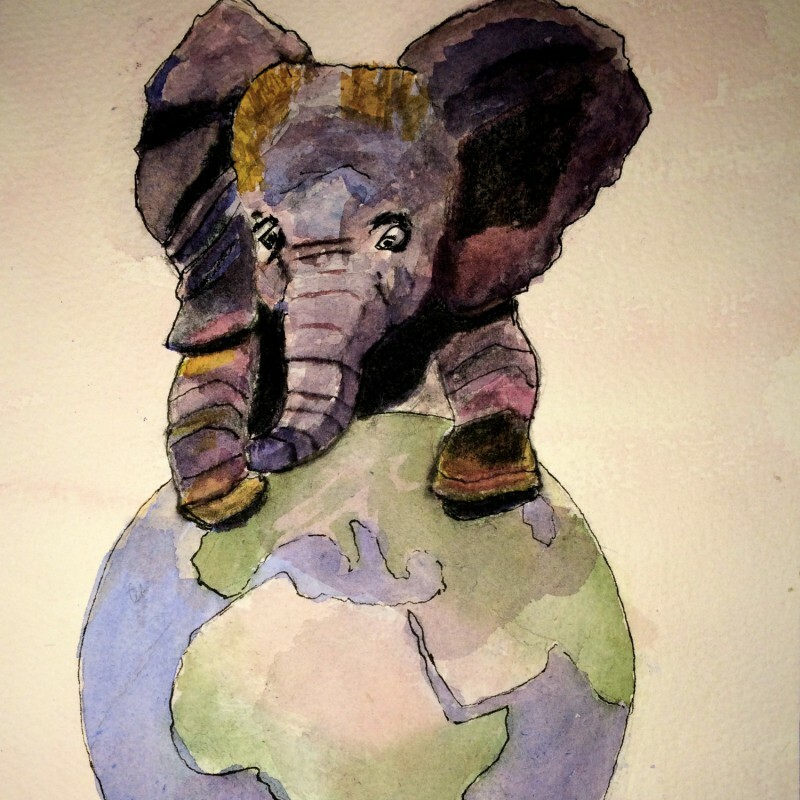 Alternatively, that ink blot or water stain might make this painting really special! In art as in life, the decisions that must be made seem endless, and each one bears heavily on the final result. But the artist gets to make his or her own decisions usually, and must live with the results. In a more populated context with many people potentially affected by the outcome of decisions, what is the process of consultation and deliberation that must be followed? How to deal with the inevitable inkblots, and their unintended consequences? Is the factory-model of organization helpful or hurtful in such times; what are the alternatives? With highly integrated challenges mounting (along with the rise of intricately networked systems riding on technologies few people really understand), what insights could we be drawing now to build upon in the future? Who will create these insights, and how? How will we know where the brush is going, and to what end? Who will be wielding the brush in an interconnected age such as ours? … Per request a future post or two will list some reading possibilities. 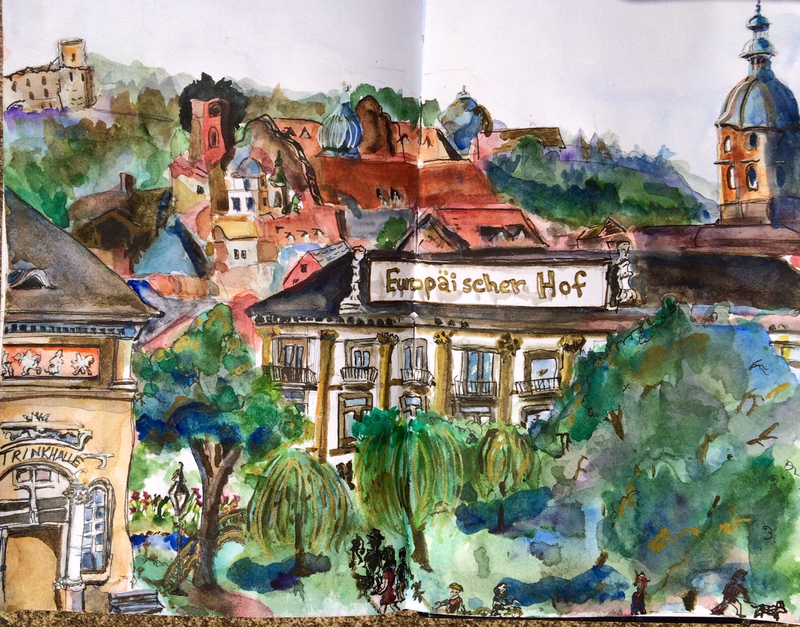 This (most likely) is the last of the watercolor sketches from recent travels in Germany. 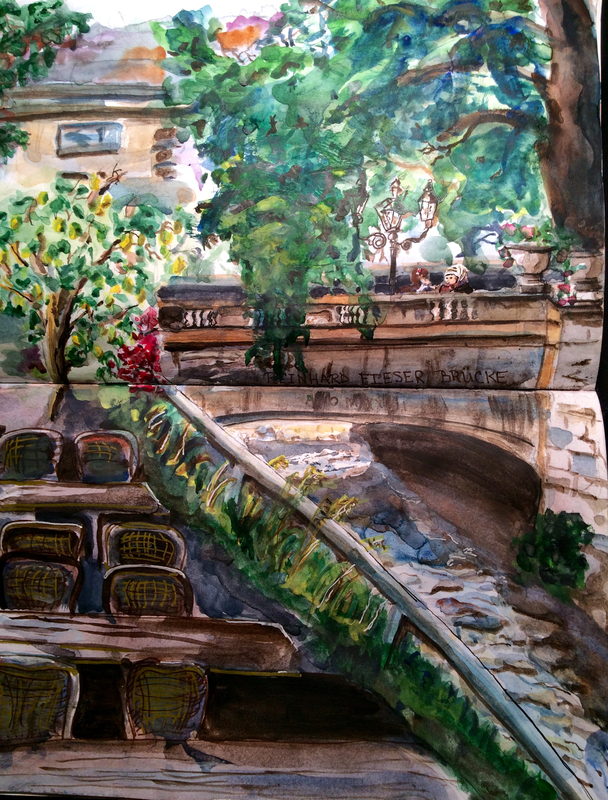 The lemon tree on the terrace of a cafe along the River Oos in Baden Baden made this a natural spot to sketch, as did the sight of two women deep in conversation on the bridge. This is the Reinhard Fieser Brücke, named after a former mayor of the city. 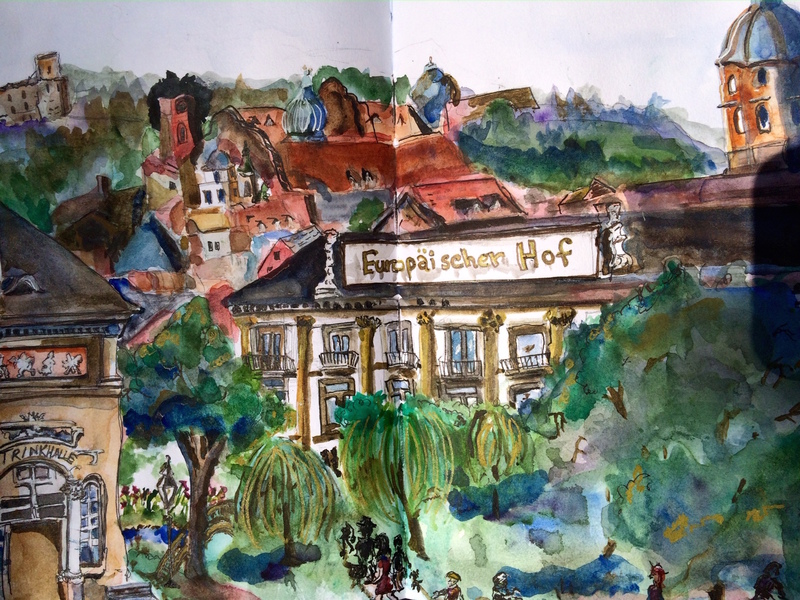 The bridge connects the area of the Kurgarten, or “spa garden” to the fashionable and beautiful cobblestoned streets lined with shops in the old part of the city–bridging old and old, as well as old and new. The same trip took us to explore a rose garden on the nearby hillside, but it was temporarily closed to the public due to an annual rose-judging competition underway. So we’ll have to go back! Next up: more on bridging old and new through frame innovation. According to the author, Kees Dorst, of Frame Innovation: Create New Thinking By Design, (The MIT Press, 2015), we are “collectively being tripped up by today’s problems.” Tackling emerging complex, dynamic and networked problems with old approaches makes no sense, he writes; “the trusted routines just don’t work anymore.” They require a “radically different response.” But what do those responses look like, and how do organizations large and small mobilize them? 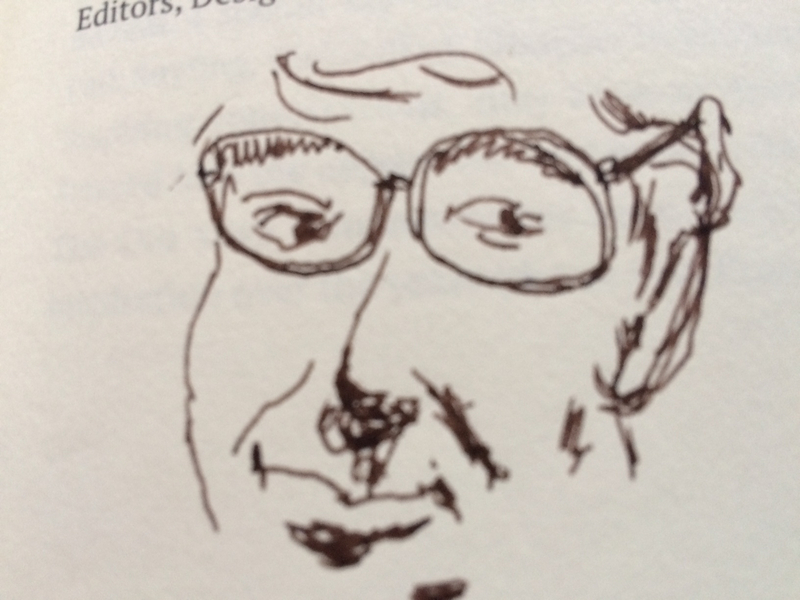 The creation of new “frames” to approach problem situations is the key, and a special element of designers’ problem-solving practices, writes Dorst (citing Whitbeck 1998). Dorst’s book introduces fresh practices based on lessons learned so far on how to link sound design approaches to real-world problems in different domains. From designing high-speed rail links to dealing with challenges involved in social housing and reducing crime rates, he shows how designers are confronting the complexity of a situation head-on. From elegant 19th century-era hotels in places which tend to attract large numbers of people with 21st century tastes to large government institutions struggling to adapt to cross-sector challenges, devising cost-effective and future-sensitive ways to update our problem-solving approaches seems like a ‘no-brainer,’ doesn’t it? But it turns out that, while obviously necessary, it is far from easy, especially for those working in long-established organizations. Coming up, a bit more on this, and some recommendations for related books and links.